These behaviors can appear out of nowhere, or it may seem like your child has always had a mean streak. Other parents maybe haven’t noticed anything in particular about their child’s behavior, but want to make sure their child grows up kind. Apologize sincerely when necessary. If you’re like any parent, you’ll lose your temper with your child every once in a while. After such events, you can apologize for raising your voice or getting short with your child. To understand the difference between being kind and unkind, children need to understand emotions. They need to have empathy for others, or be able to identify how others feel. But first, they need to know how they, themselves feel in a variety of situations! You can start this education with your young child by naming emotions in yourself, and what you see in your child. For example “I can see you’re frustrated you can’t reach your toy,” or “You’re excited about going to the park.” Try to expand your child’s vocabulary of emotions by using a wide range of words to describe feelings. Don’t limit your child to happy, sad and angry. There is a rich tapestry of emotions that we experience, help your child label and discover them! Then, talk about emotions and how your child feels, how you feel and how others might feel. You can use books or real life situations to guide this. Role-playing can be helpful for processing situations. For example, if you want your child to be kinder to a sibling by using kind language to ask for a toy, you can practice doing it with them. Or, if your child has had a difficult situation at school or daycare, they can practice a kind response with you. This works whether your child is being unkind or someone is being unkind to them. As a family, engage in kindness projects occasionally that help your child identify how they can help others, especially the most vulnerable. For example, you might make a tradition of serving in a soup kitchen, giving canned goods to a food bank, or making cookies for neighbors. In addition, you can also practice random acts of kindness together such as paying for another customer’s meal, giving food to a homeless person or offering to help the librarian, teacher or another community member with a job. Simply talking about how to be kind, different scenarios (real and fictitious), can go a long way to helping your child prioritize kindness. Talk about ways that you’ve tried to be kind or befriend new coworkers to inspire your child. Read stories about extraordinary kindness and important people who have made kindness a major part of their life. For example, you might read about past Nobel Peace Prize winners, or find examples of local community members working hard on projects in the news. Remember to talk about negative examples too. It’s important to understand what’s unkind and how to be kinder. If possible, use examples in your own life where you’ve been unkind and how you’ve tried to change. Or, discuss book and movie plots to think of ideas of how characters could have been kinder. Being kind is a lifelong journey for most of us. It’s something in which we can initiate our children, helping them as they begin their path of being a kind person. Growing into a kind person is something that takes time, good examples, and cultivation. If you can be intentional about it, you’ll soon see your child befriending others, seeking to be helpful and striving to be generous. While it’s impossible to police every word that comes out of your mouth to make sure that you’re being kind, you can do your best to be your child’s first good example of a kind person. With this in mind, and the clear goal ahead, you’ll strive to be the great example your child needs. Use one of these practical ways to work on kindness every week, and slowly, but surely you’ll work towards helping your child understand and practice kindness. The best part? These exercises and activities are good for everyone, so you’ll benefit too! Are you a seasoned parent? 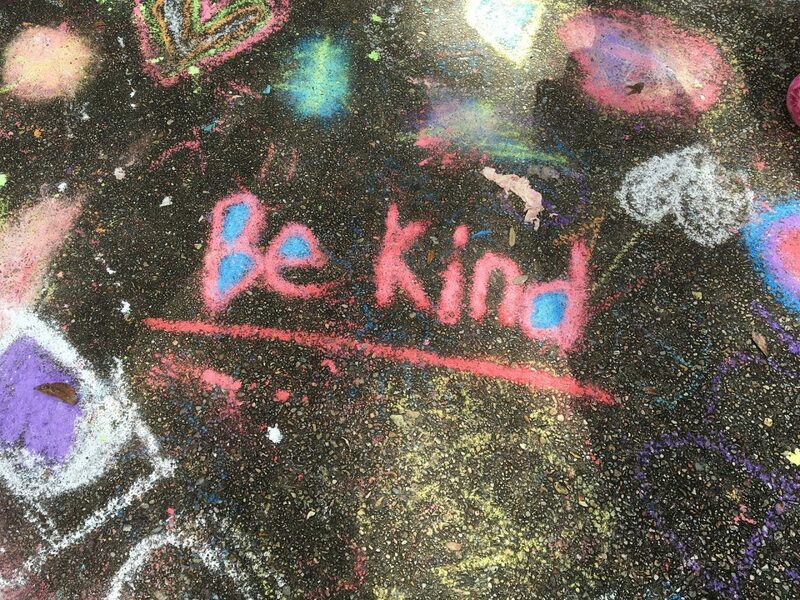 Do you have tips on how to teach your kids kindness? Tell us about them in the comments below!